If you’re long overdue for a night or weekend away with your girlfriends, start planning now for a quick getaway to Edina, Minnesota, just outside Minneapolis. 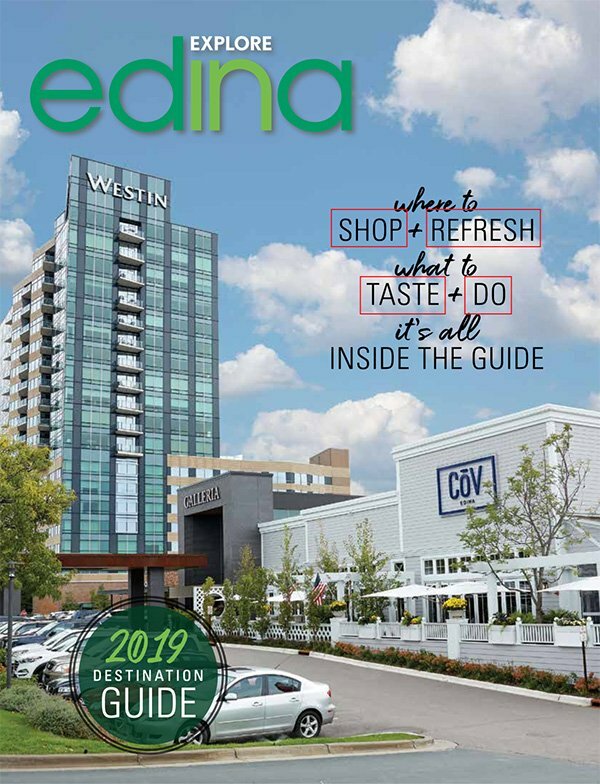 Edina is one of the area’s best shopping destinations, filled with cool boutiques, great restaurants, pampering spas, and fun fashion and art events throughout the year. Here’s a look at some of the top things to do in Edina, Minnesota, with your girlfriends for a birthday celebration, bachelorette weekend, mommy night out and more. First things first: Edina is one of the best if not the best shopping destination in the Minneapolis area—and most of the stores in Edina are within a three-mile radius. The most talked-about shopping area in Edina is the cozy 50th & France district, which is filled with specialty shops and restaurants in a cute, walkable downtown space. Discover the latest fashions at Bumbershute or Bluebird Boutique and for unique apparel and lifestyle items, check out Equation. Find upscale brands at reasonable prices at Fashion Avenue Consignment, or look for fine writing papers at Paper Source. Don’t miss Shop in the City for great souvenirs and gift ideas. “There are a lot of neat dining areas, too,” says Gail McKellip, general manager for Edina’s Spalon Montage. She would know; her salon and spa is located right in the middle of it all in the shopping district. “D’Amico and Sons is good for Italian food, and one of the newer places is Agra Culture Kitchen, with chef-crafted, real food that is beautifully put together,” she says. 50th & France is certainly a fun shopping destination, but it’s not the only one in Edina. 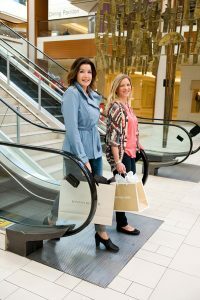 Full of well-known name brand stores, such as Ann Taylor, Lucky Brand Jeans or Macy’s, Southdale Center has been a popular destination since it opened in October 1956. Featured in the documentary “10 Buildings That Changed America,” the nation’s first completely enclosed shopping mall currently features more than 120 stores and a diverse selection of restaurants. And with dozens of stores, the high-end Galleria could easily entertain girlfriends for hours. 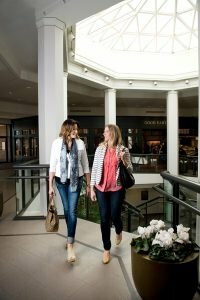 Split up and visit well-known retailers, including Kate Spade and Restoration Hardware, or hang out together at the center’s unique boutiques, coffee shops and delicious dining options, or plan an afternoon of spa pampering at one of the Galleria’s beauty destinations. MORE: Check out why so many people say Edina is the top shopping destination in the Minneapolis area here. 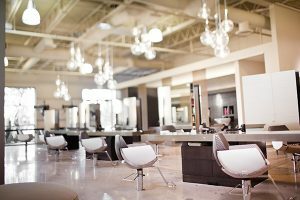 While we’re on the subject of spas and salons, Edina is a little mecca for pampering in the Minneapolis area. In the 50th & France district, Spalon Montage offers hair, nail, skin, and body care services. “We are health-conscious and beauty-driven for each individual,” says McKellip. Girlfriends can book a group package at a discount price. Special packages and services include the Express Retreat—about 3.5 hours with a massage or facial, a manicure and a shampoo-style. McKellip’s personal pick is the La Madrid Retreat, which is a five-hour collection their clients’ favorite services: facial, massage, manicure and pedicure, lunch, and a gift set from Phytomer, a French skin care product line. 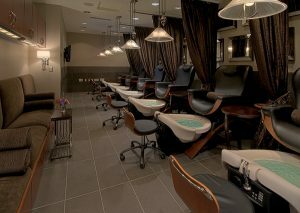 Girlfriends also can book relaxing and rejuvenating treatments at The Day Spa in Centennial Lakes Plaza. The broad menu includes massage, Reiki and cranial sacral therapy, as well as facials, or lash and brow services. Book spa packages such as Renew, which is three pampering hours, with a 50-minute relaxation massage, spa pedicure and manicure and makeup touch-up; or the 4.5-hour Rebalance package, which provides a choice of 80-minute body treatment or massage, a facial treatment, nail service and makeup touch-up. Share your experience with nine to 25 girlfriends when you book a private evening spa party that also features appetizers and wine. And in the Galleria, Lili Salon Spa also gives discounts to girlfriend groups, including a $10 discount off a $20 retail purchase, on a first visit; $20 off a second service visit—from massage to manicure—or $30 off of your third visit, in a new department. In addition, guests receive a 10 percent discount for any three spa services received on the same day. MORE: These are just a few of the local spas that keep girlfriends coming back to Edina for a fun weekend getaway, but Edina is home to more than a dozen additional spots for a day of pampering, including Bluemercury Edina, Bespoke and Rocco Altobelli. Check out a list of all of Edina’s spas and salons on our website here. Also, see our special packages for The Day Spa Edina, Lili Salon and Spalon Montage on our site here. Art enthusiasts may want to build a getaway around one of Edina’s great annual events. In the spring, one of the best new fashion events in the Minneapolis area happens in Edina. Style Edina is a perfect introduction to Edina’s style community. 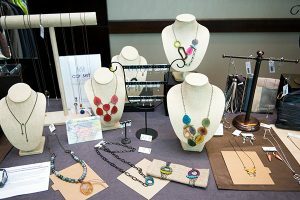 The first Style Edina event took place in 2016, and after such positive press from the attendees and the local store and salon owners who collaborated on it, it’s now an annual event. “The spirit of Style Edina is cooperative,” says Shelly Loberg, director at Explore Edina. “It’s a fun, one-of-a-kind fashion event that’s suitable for moms, daughters and grandmas or your girlfriends,” she says. Follow Explore Edina on Facebook to stay updated on future Style Edina event dates. 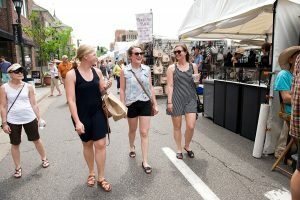 Another popular local event that’s fun to plan a girlfriend getaway around is the annual Edina Art Fair, held each June in the 50th & France neighborhood. The free event is ranked as the No. 1 fine art fair in Minnesota, and 32nd nationally. With 300 artists putting some of their best works on display, visitors will find a variety of ceramics, sterling jewelry and paintings to enjoy. Celebrating its 53rd anniversary in 2019, this annual three-day festival draws approximately 200,000 people. It will take place May 31 through June 2. 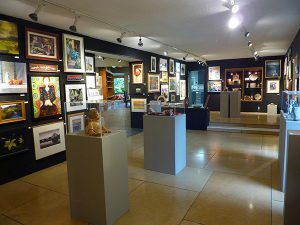 The arts are abundant here in Edina, and you can experience them year-round at the Edina Art Center, which hosts curated solo and group exhibitions of local and international artists, showcasing everything from pottery, to drawings, to sculpture. You and your girlfriends can pick up some unique, handmade art or jewelry in the center’s gift shop after a visit to the gallery. Finally, if you’re visiting as the leaves turn, browse work from hundreds of artists at the Edina Fall into the Arts Festival, Sept. 7-8. Held in the gorgeous Centennial Lakes Park, this benefit for the Edina Crime Prevention Fund features diverse media, from photography to wood art and painting, along with food vendors and sponsors. MORE: For more fun things to do on fall girlfriend getaway or trip with friends, check out our guide to the best events, outdoor recreation opportunities, places to eat and more during the fall here. Edina offers a few great options for places to stay on a girlfriend getaway. The all-suite Marriott brand Residence Inn Minneapolis Edina features separate living room areas and windows that open, along with free Internet service and a free, hot breakfast. A free shuttle, to and from Minneapolis-St. Paul International Airport, is especially convenient. Just across the street, Ciao Bella, open since 1997, offers fresh Italian cuisine. One hundred percent natural, vegetarian-fed, hormone and antibiotic-free beef and poultry, plus in-season local produce infuse braised meatballs, chicken and wild mushroom risotto, and much more. McKellip calls the Westin Edina Galleria a sophisticated hotel in a beautiful area with lots of shopping. Rooms include ultra-comfortable beds and cozy robes, with separate oversized soaking tubs and showers. There’s a cafe bar and lounge on-site, offering breakfast and lunch, as well as evening cocktails. Then for dinner, indulge yourself with a delicious meal at the nearby McCormick & Schmick’s Seafood & Steaks. Whether Whether your girlfriend getaway to Edina is a Twin Cities stay-cation, or a true vacation, prepare for a tasty, relaxing, shopping experience with something for everyone. 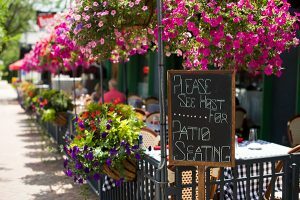 And for even more useful tips on the best things to do in Edina on a weekend getaway, check out our comprehensive guide to shopping and dining here.